Among Australia's many attractions are numerous incredible golf courses, offering unique opportunities and challenges amid jaw-dropping scenery. As fortune would have it, some of the world's best golf courses are located a stone's throw from some of the world's best wine regions and what better way to spend a hard-earned day off than with 18 holes followed by a leisurely lunch with exceptional wine. We've teed up some golf and wine pairings with our friends at Great Golf Courses of Australia for a wine-loving golfer's best day ever. Victoria’s Mornington Peninsula is located just over an hour southeast of Melbourne, As well as producing highly regarded cool climate wines it is also a popular holiday spot, known for its incredible scenery, exceptional local produce, beaches and outdoor activities. 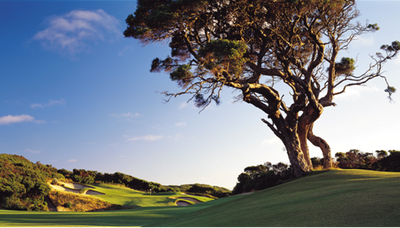 The world-famous National Golf Club is located at the stunning Cape Schanck on the Mornington Peninsula. 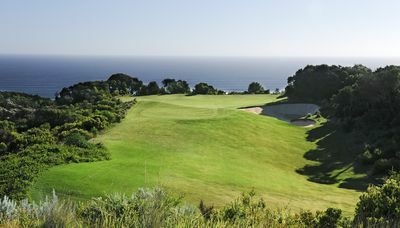 The club has three highly regarded 18 hole golf courses, the Old Course, the Moonah Course and the Ocean Course, each enjoying unsurpassed views of the rugged coastline, ensuring that the club ranks as the best piece of golf real estate in the country. After 18 holes, we highly recommend a visit to Montalto Vineyard & Olive Grove. Sample some award-winning wines in the intimate cellar door then relax over a long lunch in the Restaurant, or more casual Piazza Café. If energy permits, a stroll through Montalto’s sculpture walk is the perfect way to wrap up an awe-inspiring day. 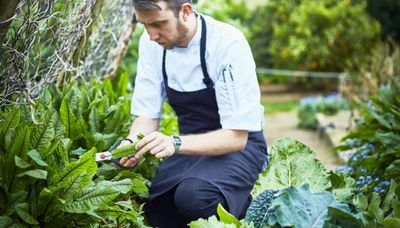 On our Montalto & The National Package enjoy 18 holes followed by a culinary feast of local Victorian produce and fine wines curated and hosted by the winemakers from Montalto. Famed for it’s Heritage wilderness, clean air and great food and wine Tasmania is the ideal location for a golf and wine escape. 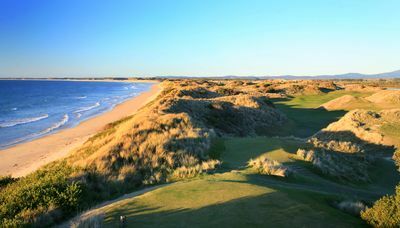 Surrounded by coastal dunes, the famous Barnbougle, on the North East corner of Tasmania, continues to gain a reputation as one of the world’s top links golf courses. The coastal backdrop of the course and natural undulation of the site is reminiscent of the wild coastal links courses of Scotland and Ireland and, with time, it looks set to follow in the footsteps of these great courses. Barnbougle Lost Farm is situated adjacent to the Barnbougle Dunes Course. Despite the close proximity of Lost Farm to Barnbougle Dunes, the two courses are very different. The sand dunes on which Lost Farm is situated are steeper and more dramatic than those of Barnbougle Dunes. 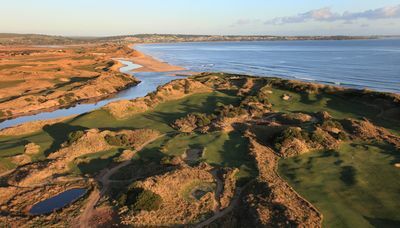 The layout of holes at Lost Farm also offers a more diverse routing compared to Barnbougle Dunes, with fairways that roll both along the coast and inland. Accommodation at both Barnbougle courses offers the opportunity to play a round at both Barnbougle Dunes and Lost Farm and compare the challenges presented by the design and position of each course. Drive just over an hour south, and discover Josef Chromy Wines, set among old English gardens, 100-year-old oak trees, and overlooking a picturesque lake, winery and a 61-hectare vineyard. Recognised as one of Australia’s best, the cellar door is housed in the original 1880s homestead. 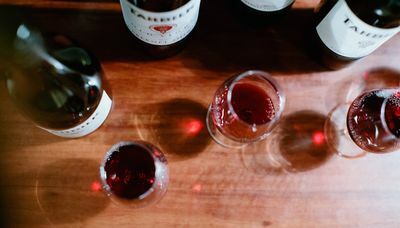 Rest your weary legs in front of the log fire and taste a wide range of award-winning cool climate wines before settling in for a long lunch prepared using the finest Tasmanian produce matched with exceptional wines. An afternoon spent soaking up the warm hospitality at Josef Chromy is an afternoon well-spent. With a thriving food and wine scene and easy access to South Australian icons such as the Barossa Valley and McLaren Vale, Adelaide is fast becoming one of Australia's most sought after tourist destinations. 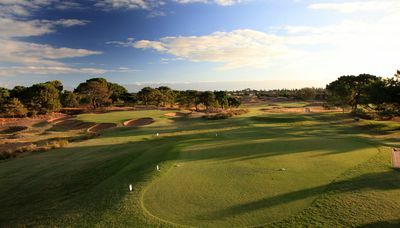 Since opening in 1906, Royal Adelaide Golf Club has been the venue for many international and interstate matches and championships, including nine Australian Opens. Constructed over coastal dunes, this visually stunning course presents players with unique challenges and a platform for creative shots. Penfolds Magill Estate is the original home of Penfolds wines and of Australia’s most prized wine, the famous Grange. Located just over half an hour from Royal Adelaide, it is the ideal spot to recuperate after the rigours of a morning's golf.